Transformations. That was the central thesis of this wedding and this couple. Two individuals, two paths and one magnificent collision. Now, Shannon and Christian hold a very special place in my heart because I was there. I saw each and every one of those forks in the road and it was truly magical to behold. I saw these two meet, I speculated on the accidental ‘group date’ and I watched with a smile as they warmed up near the campfire at my wedding. I felt joy as I saw them unravel each other, first he wore her down with his awesomeness (croissants, newspaper and juice on the doorstep), perseverance and warmth. Then she won him over with her kindness, her strength and her creativity. It wasn’t long before they had melted each other’s hearts and transformed each other. Strong individually, powerhouse as a team. 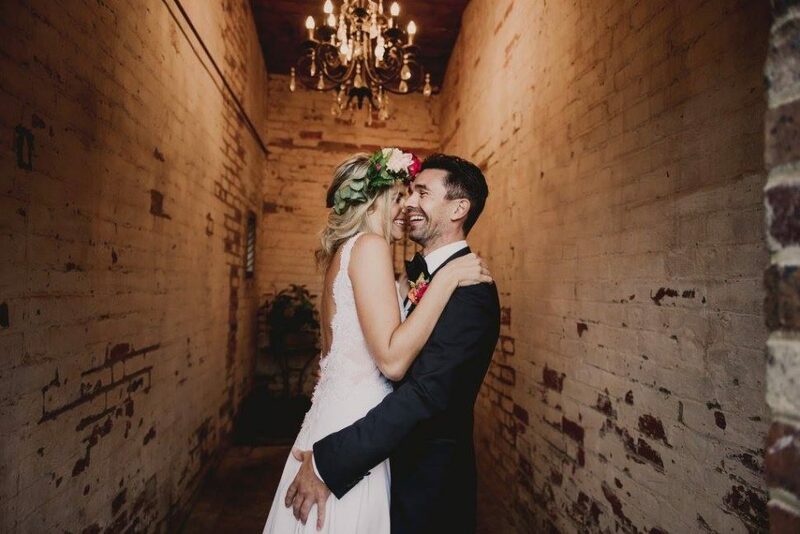 With heart and creativity to boot, their wedding was set to blow minds… and despite the postponed date (there was the small matter of creating a perfect new life in between), when it did arrive, boy was it something to celebrate! The Yarra Valley, an Autumn breeze just whispering in the background. 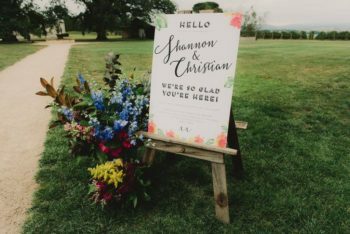 Shan and Chris rented the bulk of cottages behind the golf club and it was perhaps the many moments in the lead up to the ceremony that really ignited the love for the couple, for each other and for love in general. Possibly it was also the golf buggies that we got to hoon around in that added to this ‘love feeling’. There was joy in the late afternoon BBQ and joy in the massive communal cook up the day of the wedding. There was a feeling that love really did have a place in this life, and that these two were meant for each other. 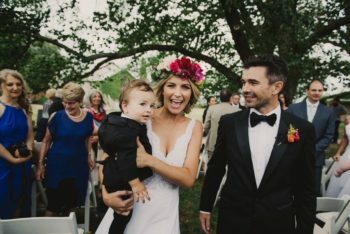 Little darling Maxwell hobbling down the isle, so hobbly in fact that the wedding song was looped three times. Due to the beauty of the song, this simply meant that all the guests were highly emotional before anyone uttered a word. And then Shannon, beautiful, graceful Shannon. Walking, crying, walking some more. A vision in a dress she whipped up herself. Ridiculous. And I watched Christian watch Shannon, and I watched him wipe a tear. This was their moment, another rite of passage, another transformation. These two. Two individuals, two paths. One magnificent collision. I couldn’t think of anyone more perfect to crash into each other. You two make it look easy, you beauties. Thank you for letting me share in the joy, the love and the golf buggies.